We overweight what’s easily available. A checklist or set of rules can help with this tendency. 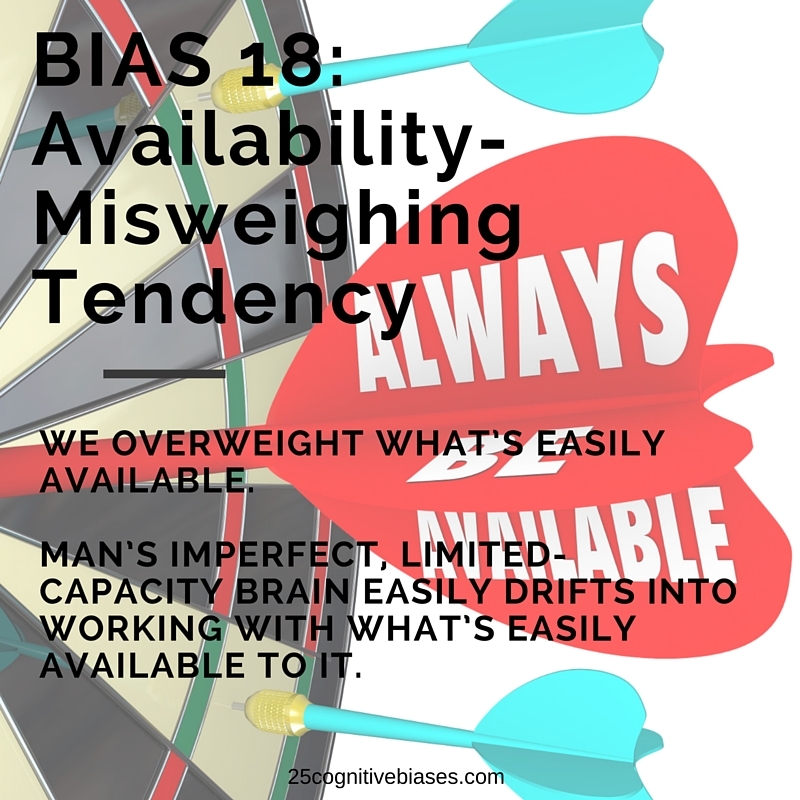 This entry was posted in 25 Cognitive Biases, Bias 18 - Availability-Misweighing Tendency and tagged Availability, Missweighting. For example, most people believe that the greatest threat to society rn is ISIS and terrorism because of all the social media and television engagement they’re getting but really our biggest threat is people dying from cancer and unclean water !!! When ideas or facts are easily available to us we tend to believe them because we lack the discipline of putting effort to find the truth. Again, for marketing, it helps to have your product beautifully packaged and ready to go. It will beat out the clunky website, a poorly designed funnel, or all the free ways someone can get the same thing because you have it right there in front of them…for a price. Thank You for all your Contributions Kate.